Drawing on her wide ranging experience, Nicola provides tax advice across a wide range of areas of tax, including corporation tax, income tax, capital gains tax, SDLT and VAT. She advises on all aspects of corporate and property taxation including providing tax structuring advice, seeking HMRC clearances and negotiating the tax aspects of corporate and property transactions. 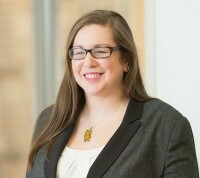 She also advises on, and has a particular interest in, employee incentivisation schemes.